BONN, Jun 14, 2011 (IPS) – Clean the air, cool the planet and prevent millions of deaths with fast action on soot and smog, a new report urges. Air pollutants like black carbon (soot) and ground-level ozone (smog) arise from incomplete combustion of fossil fuels and biomass like wood and charcoal. Nations or regional blocks of nations could decide to put measures into place that quickly improve their air quality, reduce crop losses and shorten lives. And, almost as a side benefit, those efforts would do much to slow the rate of global warming, says the scientific assessment report released at the United Nations Framework Convention on Climate Change (UNFCCC) negotiating session here in Bonn. “One-third of current global warming is due to emissions of black carbon, methane and ground-level ozone,” said Joseph Alcamo, chief scientist at the United Nations Environment Programme (UNEP). This comprehensive scientific assessment shows that reducing emissions of these pollutants is a powerful adjunct to efforts to reduce emissions of carbon dioxide, Alcamo said in a press conference. If the global community fully implements clean-up measures, it could reduce future climate change by 0.5 degrees C by 2030 to 2040, the report concludes. This is a key ingredient in the extraordinary challenge of keeping global temperatures from rising beyond two degrees C, says report co-author Johan Kuylenstierna, York Centre Director of the Stockholm Environment Institute. The scientists behind the assessment, coordinated by UNEP and the World Meteorological Organization (WMO), also point to numerous public health and food security opportunities. 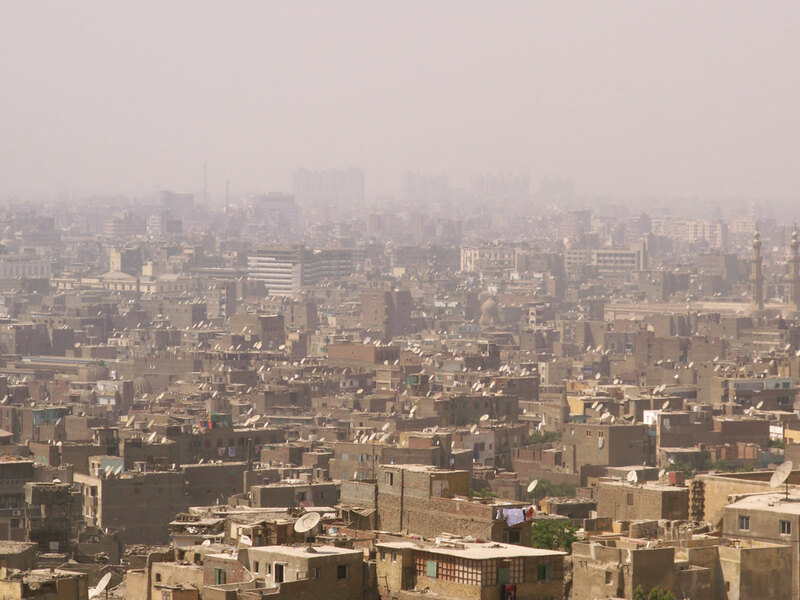 Ground-level ozone and fine particles, including black carbon, are linked with premature deaths, primarily heart disease and lung cancer, alongside other illnesses such as bronchitis and low birth weight. Both ground-level ozone and black carbon can also substantially reduce the growth of crops, trees and other plants. Implementing the measures in the report could avoid annual yield losses of up to 50 million tonnes annually, they estimate. “The (clean-up) measures to do this all exist and are in use in many places. They need to be implemented very widely in order to get the full climate benefit,” Kuylenstierna told IPS. 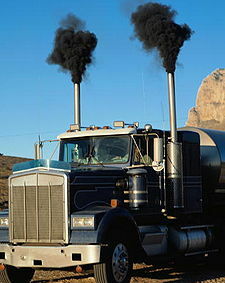 Black carbon or soot arises from inefficient burning of fossil fuels and biomass like wood and charcoal. To tackle those emissions, the report, “Integrated Assessment of Black Carbon and Tropospheric Ozone“, recommends wide use of filters on diesel engines to trap these particles. It also recommends removing older, highly-polluting diesel vehicles and engines. Replacing cook stoves and kilns with new clean-burning versions will dramatically improve indoor and outdoor quality, it said. 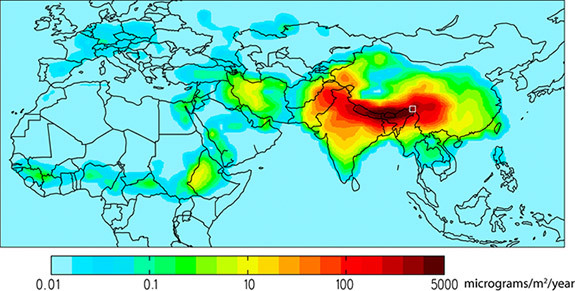 Ground-level or tropospheric ozone, more commonly known as smog, results from emissions of methane, nitrogen oxides and other products of combustion. Tropospheric ozone is a powerful global warming gas and main measures to reduce its formation include capturing methane emitted from landfill sites, the production and transport of coal, oil and gas and to a lesser extent livestock, the report recommends. Encouraging composting is one low-cost solution to reducing landfill emissions, although the capture of methane for use as an energy source is becoming more widespread. “In some Indian cities, diesel buses have been converted to use natural gas,” said Surya Sethi, a negotiator with the delegation from India. “The conversion to cleaner-burning cook stoves has not happened to any great extent,” Sethi said. The costs and the lack of effective programmes to bring these to rural areas as well as institutional inertia are some of the barriers to implementation, he added. With the significant benefit for global climate protection documented in the report, Sethi said he is hopeful these measures will receive a higher priority and access to new international funding. 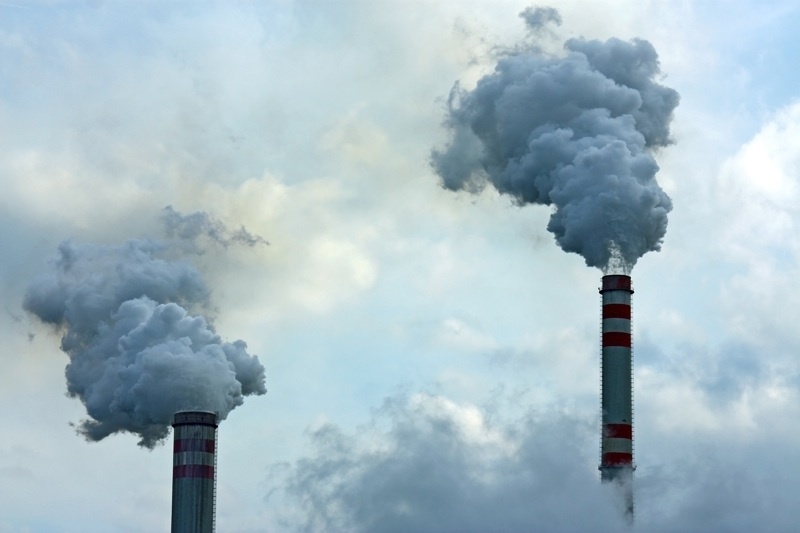 Kuylenstierna does not see efforts to reduce soot and smog as part of the UNFCCC process. Black carbon and ground-level ozone cause global warming but their effects are measured in days or months, whereas carbon dioxide emitted today will continue to warm the atmosphere for centuries. Perhaps more importantly, the painfully slow pace of these international climate treaty negotiations make them an inappropriate forum for pollutants with “impacts that are local and here and now”, he said. A regional approach would work best, he suggested. Southeast Asian nations could work together to implement these measures, since the entire region would benefit. Black carbon is known to be affecting the timing of the monsoon and speeding the ice melt in the Himalayan Mountains, a critical water source for the region, he said. None of these measures are new. Many have been talked about for years but widespread implementation – tens of thousands of stoves becoming tens of millions – has largely not happened. In hopes of changing this, a follow-up report will be issued at the Conference of Parties meeting in Durban, South Africa in late November. “This is a very convincing science report,” said Emi Hijino, the head of Sweden’s climate delegation. “We would like to announce our support for the development of an action plan on how to implement the recommended measures,” she said. That effort will involve a policy assessment and make “policy-relevant recommendations” for implementation on a regional basis to assist governments in taking the next steps towards fast action on these air pollutants, Hijino concluded. First published as Reducing Soot and Smog Would Help Stabilise Climate – IPS ipsnews.net.